Today, in vitro fertilization provides a way for couples to avoid passing potentially disease-causing genes to their offspring. A couple will undergo genetic screening. Tests will determine whether their unborn children are at risk. If embryos created through IVF show signs of such a genetic mutation, they can be discarded. Flash forward a few years, and, instead of being discarded, those embryos can be repaired with new gene editing technologies. And those repairs will affect not only those children, but all their descendants. In a move that seems likely to help clear the path for the use of gene editing in the clinical setting, on February 14 the Committee on Human Gene Editing, formed by the National Academy of Medicine and the National Academy of Sciences, recommended that research into human gene editing should go forward under strict ethical and safety guidelines. Among their concerns were ensuring that the technology be used to treat only serious diseases for which there is no other remedy, that there be broad oversight, and that there be equal access to the treatment. These guidelines provide a framework for discussion of technology that has been described as an “ethical minefield” and for which there is no government support in the United States. A main impetus for the committee’s work appears to be the discovery and widespread use of CRISPR-Cas9, a defense that bacteria use against viral infection. Scientists including former Yale faculty member Jennifer Doudna, Ph.D., now at the University of California, Berkeley, and Emmanuelle Charpentier, Ph.D., of the Max Planck Institute for Infection Biology in Berlin, discerned that the CRISPR enzyme could be harnessed to make precision cuts and repairs to genes. Faster, easier, and cheaper than previous gene editing technologies, CRISPR was declared the breakthrough of the year in 2015 by Science magazine, and has become a basic and ubiquitous laboratory research tool. The committee’s guidelines, said scientists, physicians, and ethicists at Yale, could pave the way for thoughtful and safe use of this and other human gene editing technologies. In addition to CRISPR, the committee described three commonly used gene editing techniques; zinc finger nucleases, meganucleases, and transcription activator-like effector nucleases. Patrizio, professor of obstetrics, gynecology, and reproductive sciences, said the guidelines are on the mark, especially because they call for editing only in circumstances where the diseases or disabilities are serious and where there are not alternative treatments. He and others cited such diseases as cystic fibrosis, sickle cell anemia, and thalassemia as targets for gene editing. Because they are caused by mutations in a single gene, repairing that one gene could prevent disease. Mark Mercurio, M.D., professor of pediatrics (neonatology), and director of the Program for Biomedical Ethics, echoed that concern. While he concurs with the panel’s recommendations, he urged a clear definition of disease prevention and treatment. “At some point we are not treating, but enhancing.” This in turn, he said, conjures up the nation’s own medical ethical history, which includes eugenics policies in the early 20th century that were later adopted in Nazi Germany. “This has the potential to help a great many people, and is a great advance. But we need to be cognizant of the history of eugenics in the United States and elsewhere, and need to be very thoughtful in how we use this technology going forward,” he said. Although CRISPR has been the subject of a bitter patent dispute between Doudna and Charpentier and The Broad Institute in Cambridge, Mass., a recent decision by the U.S. Patent Trial and Appeal Board in favor of Broad is unlikely to affect research at Yale and other institutions. 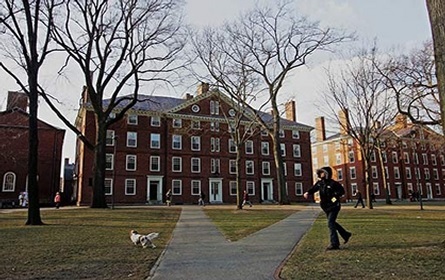 Although Broad, an institute of Harvard and the Massachusetts Institute of Technology, can now claim the patent, universities do not typically enforce patent rights against other universities over research uses. Glazer has been working with a gene editing technology called triple helix that hijacks DNA’s own repair mechanisms to fix gene mutations. Triple helix, as its name suggests, adds a third strand to the double helix of DNA. That third layer, a peptide nucleic acid, binds to DNA and provokes a natural repair process that copies a strand of DNA into a target gene. 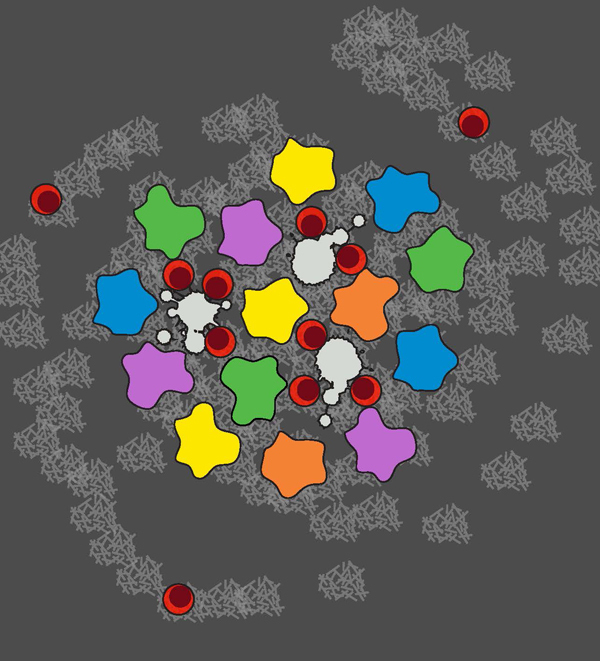 Unlike CRISPR and other editing techniques, it does not use nucleases that cut DNA. “This just recruits a process that is natural. Then you give the cell this piece of DNA, this template that has a new sequence,” Glazer said, adding that triple helix is more precise than CRISPR and leads to fewer off-target effects, but is a more complex technology that requires advanced synthetic chemistry. Along with several scientists across Yale, Glazer is studying triple helix as a potential treatment for cystic fibrosis, HIV/AIDS, spherocytosis, and thalassemia. Adele Ricciardi, a student in her sixth year of the M.D./Ph.D. program, is working with Glazer and other faculty on use of triple helix to make DNA repairs in utero. She also supports the panel’s decision, but believes that more public discussion is needed to allay fears of misuse of the technology. In a recent presentation to her lab mates, she noted that surveys show widespread public concern about such biomedical advances. One study found that most of those surveyed felt it should be illegal to change the genes of unborn babies, even to prevent disease. 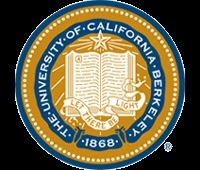 UC Berkeley researchers have made a major improvement in CRISPR-Cas9 technology that achieves an unprecedented success rate of 60 percent when replacing a short stretch of DNA with another. Watch/download mp4 video here . As this magazine and others have detailed, CRISPR-Cas9—the powerful gene-editing technology being hailed as molecular biology’s “holy grail”—is the subject of a contentious dispute between the widely celebrated Jennifer Doudna at the University of California, Berkeley, and wunderkind Feng Zhang at the Broad Institute and MIT. The central question: who invented it first? Yesterday, that dispute became official in the eyes of the U.S. Patent and Trademark Office when an administrative patent judge officially declared an “interference” between Doudna’s pending patent application and a dozen of Zhang’s already issued patents. The interference proceeding sets up a legal showdown that may strip Zhang of his patents and see the two scientists deposed under oath. Even among patent attorneys—generally, friends of the arcane and hypertechnical—interference proceedings are famous for their complexity. The U.S. patent office now grants patents on a “first to file” basis. But before 2013 this was not the case. Historically, U.S. patent law instead recognized that patent rights should go to whoever could prove they were “first to invent” an idea. Because there is a lag between when patent applications are filed and when they are issued—roughly, three years—this gave rise to the possibility that a later inventor could be awarded a patent before the patent office had time to process an earlier inventor’s application. In that circumstance, the later inventor’s patent “interferes” with the earlier inventor’s ability to rightfully obtain theirs. This is precisely what occurred between Doudna and Zhang, whose patents are covered by the older rule. Doudna, with colleagues in Europe, filed a provisional patent application on her early iteration of the CRISPR editing technology on May 25, 2012; Zhang did the same on December 12, 2012. But Zhang’s attorneys requested that the patent office expedite its review of his application under a procedure—funnily named a Petition to Make Special—that allows inventors a quick up-or-down vote on simplified patent applications. As a result, Zhang was awarded his first patent on April 15, 2014, while Doudna’s patent application remained in limbo. Shortly thereafter, Zhang was awarded over a dozen patents on various forms of the technology. Perhaps fearing that they were losing the great biotech patent race of the century, Doudna’s attorneys amended her application in order to directly conflict with Zhang’s patents. Specifically, Doudna’s attorneys claimed that her patent application covered gene-editing in mammalian cells—including humans—even though her original filing didn’t detail that aspect of the technology. Yesterday, to the delight of watchers of patent dockets everywhere, an administrative patent judge with a PhD in molecular biology, Judge Deborah Katz, officially declared the interference. Despite these seemingly dry technicalities, the CRISPR patent dispute has been spiced with intrigue. During the examination of Doudna’s patent application, several unidentified third parties filed papers with the patent office seeking to block it, arguing that she was not the first to invent her CRISPR technique, while the Broad Institute unleashed its own volley of legal papers, lab notebooks, even copies of private e-mails between scientists. If Doudna’s original application did not command the focus of patent office supervisors when it was filed, it sure does now. What comes next? A panel of three patent judges will get to decide who gets the patent rights to CRISPR-Cas9 editing in animal cells. Their decision is likely to center on a few core issues. One is whether Doudna’s original patent application really covered working with human cells. Another is the earliest date either scientist can prove they performed their breakthrough work. Yesterday’s declaration of an interference proceeding already provides a few hints. First, it lists Doudna as the “senior party” and Zhang as the “junior party”—an initial determination that the administrative patent judge agrees that Doudna was the first inventor. This means that the burden of proof rests on Zhang, much like how, in a criminal trial, the government—not a criminal defendant—must prove its case beyond a reasonable doubt. Second, the declaration puts at issue all of the patent claims; none are left out. This suggests that the interference proceeding—assuming it retains its current scope—will be an all-or-nothing affair: Zhang will either get to keep all of his patents or lose all of them. This may mean that there is little room, legally, for the patent office to keep both sides happy. But as the dispute has shown us thus far, there is always room for surprises.